SALES of small cars are flatlining as more buyers move into SUVs, so dealers are overstocked and hot deals have begun to emerge on more models. The cars are already here and they need to be cleared. The Kia Cerato is still an epic bargain at $19,990 drive-away in sedan or hatch. Unlike most of its rivals it lacks a rear camera (it gets front and rear sensors instead) but comes with Apple CarPlay and Android Auto and, of course, Kia's industry-leading seven-year factory warranty. 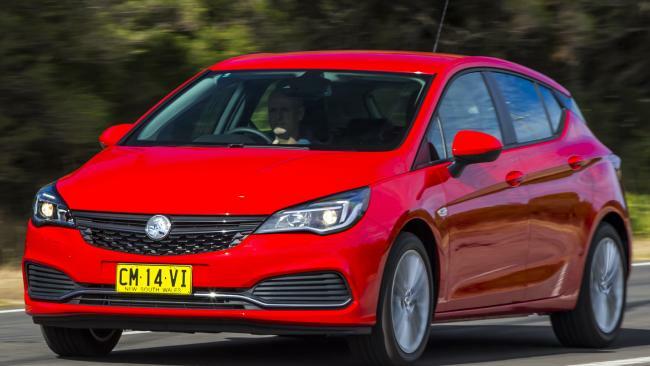 Holden still has plenty of stock of the Astra R+ hatch with safety pack. 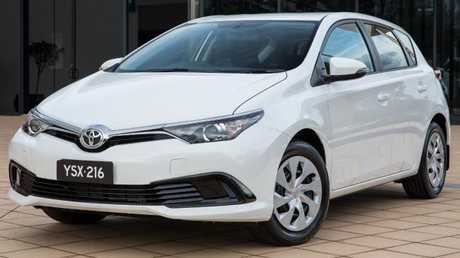 It's also $19,990 drive-away and currently comes with a five-year warranty, which is better than Holden's standard three years but two years shy of Kia's. 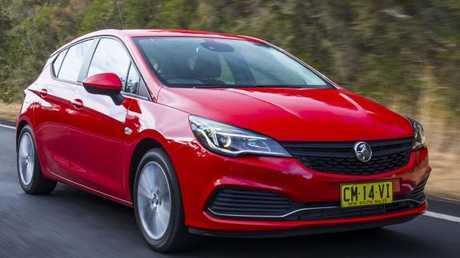 Warranty differences apart, the Astra is a better deal than the Kia as the Holden comes with a load of advanced safety tech at that price, is a newer car and a better drive. 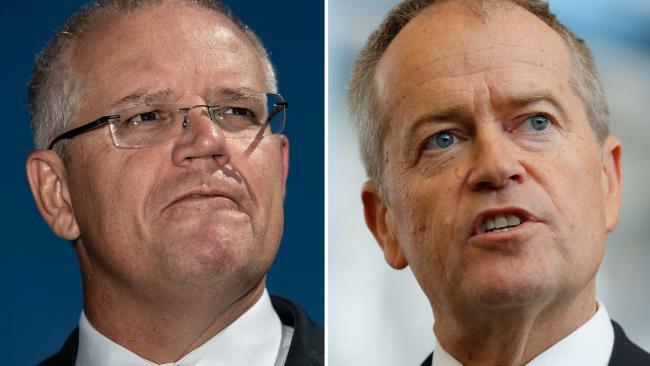 Above the $20,000 threshold the magic number appears to be $22,990 drive-away. That's the price of the Toyota Corolla Ascent hatch and the recently introduced Hyundai i30 Go when both are equipped with automatic transmission. 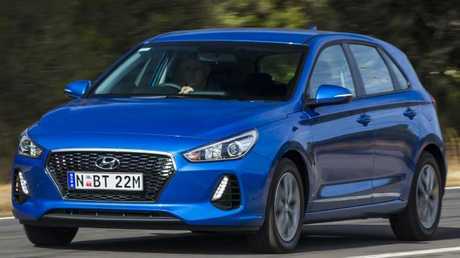 The Hyundai i30 is sharper value than when it launched. Photo by Mark Bean. 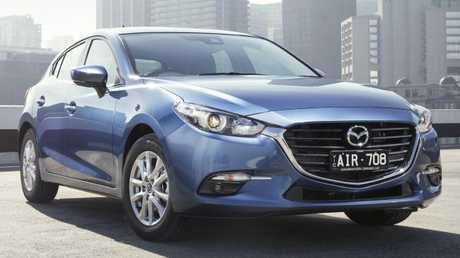 The Mazda3 hasn't had a drive-away price in bold type since the new generation model went on sale four years ago but, with a new model due next year, the discounts are out in the open. The base model auto is $23,490 drive-away - but expect to match or better the Toyota and Hyundai prices without much haggling. Ford's Focus is hanging in there at $24,990 drive-away with auto, even in the face of sharper deals elsewhere. Negotiate accordingly. Deals can be had on the Toyota Corolla. Photo Supplied. Honda maintains the Civic auto at $24,990 drive-away, the deal sweetened by a seven-year warranty (up from five years) and seven years' premium roadside assistance. It's a jump to the VW Golf 110TSI at $26,490 drive-away, given the base Golf has previously limboed a few thousand dollars lower than this in recent years. However this price is combined with 1.8 per cent finance with no deposit. The total cost over the life of the loan is $27,829, which sounds like a lot but is less than some cheaper cars with a higher interest rate. Mazda usually resists publishing deals but has one at the moment. Pic: Supplied. If you want to treat yourself to an SUV the city-sized Toyota C-HR is worth a look - its price has dropped to $30,990 drive-away for a front-drive auto with radar cruise control, automatic emergency braking and rear camera. The biggest steal in the SUV class is the seven-seat Toyota Kluger GX at an astonishingly low $39,990 drive-away, at least $5000 off. The sole engine is a petrol V6 but the new eight-speed auto makes it more efficient. This price only applies to 2017 "demo" models so stock will be limited. It's unlikely Toyota dealers will be able to match the $39,990 price on a 2018 Kluger GX - as the discount is funded by Toyota, the dealers don't have that much profit margin to play with.